Do You Have Dog Treat Recipe Questions or Other Baking for Your Dog Questions? Do you have dog treat or baking for your dog questions? I'm not a professional chef, but I am very passionate about making great treats for dogs. So, don't be shy, I'm here to help. You can also search for your answer. Since I have answered hundreds of questions from dog owners, you may find that your question has already been answered. Your search will take you to a new page, then scroll down to see your results. Please Note: Due to the overwhelming amount of questions I receive, I will no longer be able to answer every question that is submitted. Your question will appear on a Web page the way you enter it here. You can wrap a word in square brackets to make it appear bold. For example [my dog] would show as my dog on the Web page containing your question. What could I bake with besides baking powder or soda? Will it bake out? Is small amounts ok? Is there a recipe that contains no Peanut butter, cornmeal or yeast i can make my dog? Treat Recipes with Coconut Flour? How I get the most for my money when making treats. Why are my dog treats cracking and bowing? What baking techniques can you use to create a smooth biscuit? Do you have a dog treat recipe that uses tart cherry juice concentrate? Can you freeze dog treats AFTER they have been decorated with yogurt icing? Due to our dogs teeth, how do you make dog treats soft? Do you have a recipe to help prevent lawn damage? I would like to have a dog biscuit recipe with cornstarch. Do you have a recipe for diabetic dog treats? Do you have a recipe that makes hard dog treats? Peanut butter dog training treats somewhat the size of zukes? Do you have any grain free cookies that are good for dogs with hyperglycemia? If I freeze home made dog treats, how long will they last after I thaw them? What can I substitute for peanut butter when making dog treats? Can white chocolate be used as dog treat frosting? Where can you buy yogurt coating for homemade dog treats? Is flax meal good for dogs? I am trying to find a cost effective recipe for gluten free dog treats.. I made some home made dog biscuits for my dogs which was supposed to be hard and crunchy but they came out soft as bread. Why? Dog Treat Recipe without Eggs? How Can I make Jerky? How can I add rosemary extract and vitamin E to my dog biscuits? In dog treat recipes, they tell you to use baking powder but I don't have any baking powder. Do I have to use baking powder? Do you have a recipe for cornstarch bones like the ones at the store? Do you have any easy non bake dog treat recipes? Why are my gluten free dog treat recipes so crumbly? 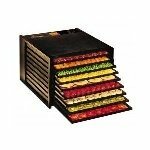 Dehydrating cookie to extend shelf life? Is there such a thing as diabetic dog treats? I'm looking for a grain free salmon dog treat recipe, any ideas? What is the process to extend the shelf life of beef liver dog treats? What do we use for dog training treats for a food allergy puppy? How do I extend the shelf life of homemade dog treats? How to make a dog treat that would be able to be put in stores. Can I use bread flour to make dog biscuits? Can i make millet biscuit for my dog? Can I use melted white candy wafers for dog treat icing? I just started making and selling treats at farmers markets. Is there a natural or organic preservative I can use for home baked dog treats? 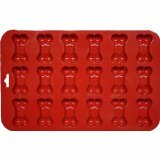 Do you recommend vacuum sealing homemade treats for shipping? Is there a dog treat recipe that won't spoil? Is commercial peanut butter safe for a dog? Can I use Coconut Oil instead of other oils? Hi, I've just started making dog treats and the storage is an issue I'm not too sure about! Can you freeze the prepared batter for dog or cat treats until you are ready to bake? How do I make dog treat frosting using yogurt powder, egg whites, tapioca starch? Can you use regular oats for homemade dog treats? I would like to know if cardamom is safe to use as a flavor in dog's cookies? Self raising flour or Oat bread mix, good or bad for dogs? Can I leave out the eggs? Dog allergy question - substitute for oats? My little dog's like the vanilla frosting they put on some dog cookies or biscuits. It is like a glaze, can you tell me where I can find a recipe for this frosting? What can I substitute for eggs in my homemade dog treats? Why are my dog cookies cracking? 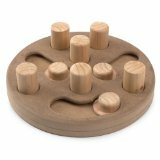 How to make sure the dog biscuits won't mold? Are eggs ok if the dog might have a chicken allergy? What can I use to make yogurt or carob icing STICK better to the dog cookie? How long do homemade dog treats usually keep? What is the best dog treat recipe for a dog that is very small? Can dog treat dough be frozen, and if so, how long can it be frozen for? Questionable ingredients in homemade dog treats ? I am making cat treats with real chicken. How long will they last in the refrigerator? How do I make doggy confectionery? Is edible rice paper safe for dogs? How do you recommend shipping dog treats that need refrigeration ? My dog cannot have milk what can we substitute for this dog treat recipe? How do I make training treats that won't contradict my dachshunds weight control? 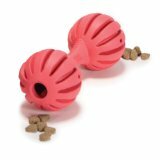 Do you have a treat recipe for dogs with bladder stones. 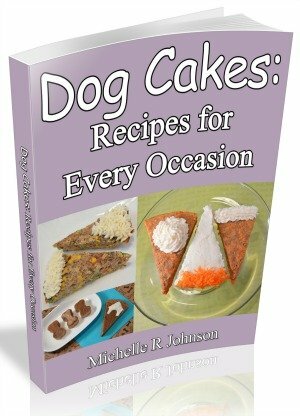 Any dog treat icing recipes that don't have to be refrigrated? 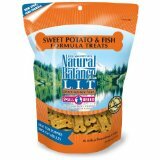 Shelf life of dog treats 4-6 months, please help! Is gum paste or fondant safe for dog treat icing? Can I use chicken liver for these liver dog treats? Is powdered sugar bad for dogs? How do I market my dog bakery business? How do you melt carob chips for dog treat icing? Will the Icing you gave the recipe for melt in warm weather? Like when in Storage, Mailing? How do I get melted yogurt chips to stick to my dog treat without just falling off? Do you have dog treat recipes with carob powder? What can you use instead of fondant? What natural preservative can I add to my dog treats? What kind of dog treat world be best for dogs that have bad or no teeth? Do you have a non-bleeding yogurt dip recipe? I make homemade Dog Treats. What would you recommend to add to my recipe to allow them to last longer ? Could raw milk be used in the dog treat recipes? Can you bake a dog biscuit with crushed glucosamine & chondroitin pills? What is the proper way to roll the dog treat dough? How do you keep the cream cheese dog treat icing from cracking? How do you use natural preservatives and in what quantity when making dog treats? How to use fruit purees in dog treats ? 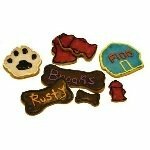 How to decorate dog cookies? Can I use Chicken Base in a dog treat recipe to add flavor? Roll out dog treat recipe? Is cocoa butter safe for dogs? How do I know when each treat expires? How long are home made treats good for? What is the best way to keep them? Homemade grain free dog treats recipe? Drying deer meat, beef, etc. Wheat flour or whole wheat flour? Dog treat bars instead of cookies? Homemade dog treat shipping tips? When using rosemary extract as a perservative, how much do you use? Is there such a thing as a grain free vegetarian dog treat recipe? I need a carob recipe to decorate "paw's"
Are there state guidelines for starting a dog bakery in your home in North Carolina? What is the best/safest/quickest way to achieve a dry crunchie biscuit made at home? Why do my dog treats come out with air bubbles in them? Can you make cat/kitten treats? I need an alternative fondant icing for use on specialist doggie cakes? Is there a dog treat ingredient that makes doggie breath go away? How do you make Truffles that are for human and canine consumption? I am looking for an icing for dog treats that will stand up to the Texas heat, any ideas? Is it bad to bake benadryl in dog treats? If I use a food dehydrator to make the treats, does the meat need to be cured? How to make my dog biscuits look professionally made!! My dog treats puff up with air when baking, how can I prevent that? Where can I buy ingredients for dog treat icing? What shouldn't you use when making dog treats? Is there a dog treat that I can make to help dry itchy skin? What is the measurement of a cup? 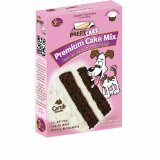 Organic dog cookie frosting for stored dog treats? How do you store moist dog treats? Can I Use a Firmer Icing? Are there any dog biscuits that do not require an oven or microwave? Is a small amount of (organic) honey a no no for making dog treats?